Sleep Training Methods: Which is Best for my Baby/Toddler? Many parents wonder, which is the best sleep training method to use on my baby? I think it’s normal that families, mothers in particular, spend a lot of time researching different baby sleep training methods, since we live in a time where we have such a huge amount of information available to us 24/7. Sometimes if parents choose not to sleep train while their child is an infant, they question whether toddler sleep training methods are significantly different than methods for babies. Which Sleep Training Methods are Cry It Out ? Right off the bat I want to make one thing clear — I feel strongly that virtually all methods of sleep training are Cry It Out. Before I go into more detail about that statement, let’s discuss what sleep training actually is. Sleep training is teaching an infant or toddler how to go down alone and awake in the crib or bed and fall asleep 100% on their own, without any sleep props of any kind (including a crib positioner, swaddle, rocking, bouncing, feeding, etc). Most sleep problems children experience stem from an inability to fall asleep independently. If a child does not know how to fall asleep on their own for naps and bedtime, they usually do not know how to fall back to sleep on their own as they wake throughout the night. For humans of all ages, waking through the night is normal. As we complete cycles of sleep, we wake slightly, and if a child doesn’t know how to fall back to sleep on their own, they will typically wake all the way up and request whatever assistance they need in order to fall back to sleep. Now, even when a child is sleep trained, they may still experience struggles with their sleep. These can be related to normal sleep regressions, not having an ideal bedroom environment, or needing to transition to fewer naps. However, even if you address these issues, your child will still struggle to sleep soundly if they don’t know how to fall asleep on their own. There is no way that you will successfully train your child to sleep independently without them expressing how they feel by crying. And, the more involved or “hands on” you are during the sleep training process, the longer and harder a child will cry. Imagine trying to fall asleep and your partner repeatedly opening your door, walking up to you, touching and talking to you, then leaving, and doing it all over again every couple of minutes. It would quite literally be impossible to fall asleep. Methods that involve a lot of soothing from parents usually result in more, not less crying. That’s why it may surprise you that methods that involve parents less (not more) produce faster results with much less crying from baby. 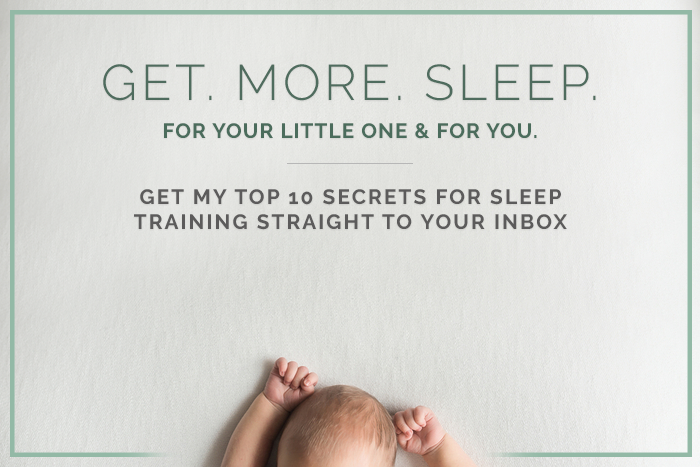 I won’t waste time here going over the various methods available to train children to sleep because I know if you’re reading this you’ve also read many other blog posts and books and are already very familiar with popular sleep training methods. Like you, I’ve also studied nearly every sleep training book I’ve ever come across, and I’ve spent thousands of hours working with over 4,000 families around the world to design the Baby Sleep Trainer method to be the quickest, most efficient, and humane way to get your child falling asleep on their own, sleeping through the night, and taking healthy naps. I would never ask a family to leave their child alone all night long, yet I’ve designed a way to check on your child and interact with them during training without being intrusive while they figure out how to fall asleep on their own. I truly don’t want your baby crying any more than you do, and that’s why I’m totally up front about the crying involved during sleep training. The issue of crying is the most important topic to a mom searching for a method to use, AND it’s the LEAST honestly discussed facet of sleep training. If you’re still not sure which method to use for you child, I suggest that you take time to read about methods in detail, picture yourself in your child’s place, and imagine how it would feel trying to fall asleep with each of those methods being implemented on you personally. If you are not operating under the assumption that a child is crying out of a feeling of abandonment (which, again, is 100% categorically false), it will be easier for you to pick a method you feel most comfortable implementing for your baby or toddler. Also please know that if you need affordable, hands-on help to sleep train your child, it’s only one click away. Use the code methods10 for a 10% discount on either Baby Sleep Trainer Program package. Curious if you have a reference regarding baby crying not being related to abandonment? How do we know this to be true when they cannot tell us?